Happy Monday! I hope you all had a great weekend, it always goes by too fast! I spent the weekend up north in Cadillac and Traverse City with my boyfriend, parents, and some extended family. My mom and I had a bridal shower to attend in Cadillac so we decided to make a weekend out of it. It was a fun weekend! I wanted to share a recipe with you today that I made last week. I am always looking for healthy, easy dinner recipes especially on nights that I have to work. Something I can throw in the crockpot while I sleep during the day gets bonus points! I actually got this recipe idea from a friend at work. I have never made spaghetti squash and while I love zucchini noodles this was a nice change since I try not to eat actual spaghetti noodles too often. I hope you guys enjoy this healthy rendition of spaghetti and meatballs. I will definitely be making it again! 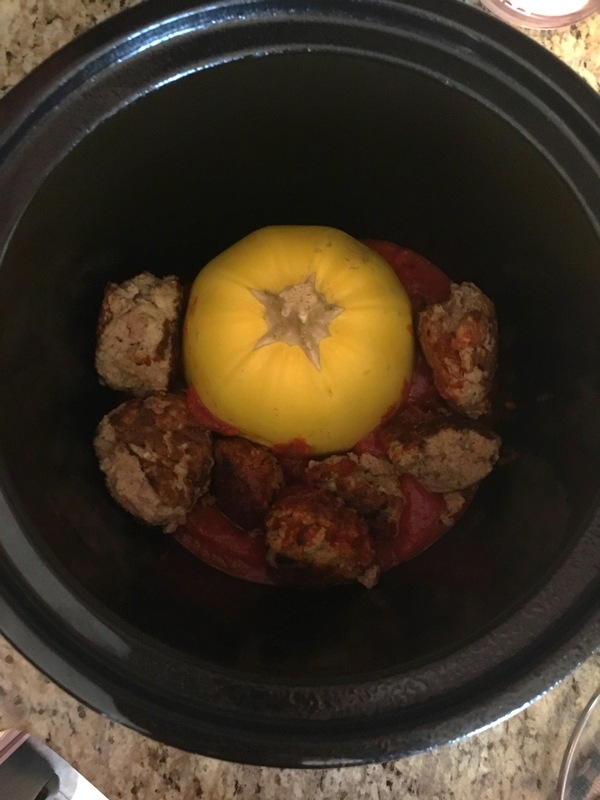 If you are making the turkey meatballs from scratch, you prep them before putting everything in the crockpot. I mixed a package of ground turkey with 2 eggs, about a half cup of bread crumbs and a couple sprinkles of Italian seasoning. I formed the mixture into meatball-sized balls and cooked them in a pan over medium heat until they were cooked all the way through. Spray the crockpot with pam. Cut spaghetti squash in half and place seed side down in the crockpot. Surround spaghetti squash with meatballs and marinara sauce. 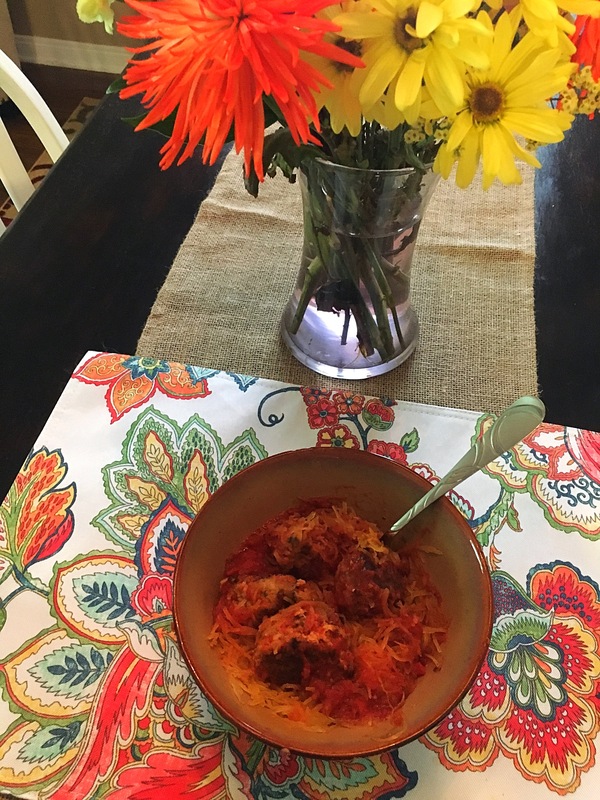 Remove spaghetti squash from crockpot (be careful, it’s hot!) and use large spoon to remove seeds. Then use the same spoon to scrape spaghetti squash forming noodles and place the noodles in serving bowls. Cover noodles with meatballs and sauce. Sprinkle with parmesan cheese if desired.